A loan of $1,050 helped to buy a cow. Aleja belongs to the “San Bartolome de Tambo Real” communal bank. She has three children. She is fifty-one years old and is married. She works in agriculture and cattle and has been doing this for years. It is going well for her thanks to the effort that she puts into her business every day. 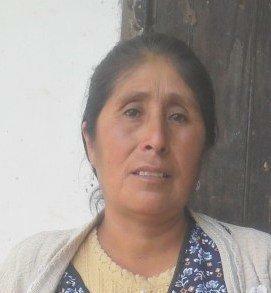 She is very grateful to Kiva for helping her to develop her business, and she is committed to making her payments. She wants to be able to keep working so that she can keep supporting her family. She is asking for a loan. Translated from Spanish by Kiva volunteer Patricia Patton. View original language description.